late 14th century., meaning “united in one body,” from L. corporatus, pp. of corporare “form into a body,” from corpus (gen. corporis) “body”. Okay… that’s where the word “corporate” came from and that’s what the word means. What is the best corporate activity? But, that is often not how “corporate” functions feel. As any corporate leader knows, unity is frustratingly elusive. So how do you as a meeting planner respond to this truth? 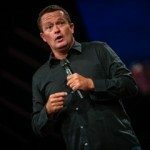 What is the one thing guaranteed to bring down the walls between people and build unity in your next corporate gathering? The answer is clean comedy that builds your people up while tearing down the walls that separate them from one another. Here’s an example. 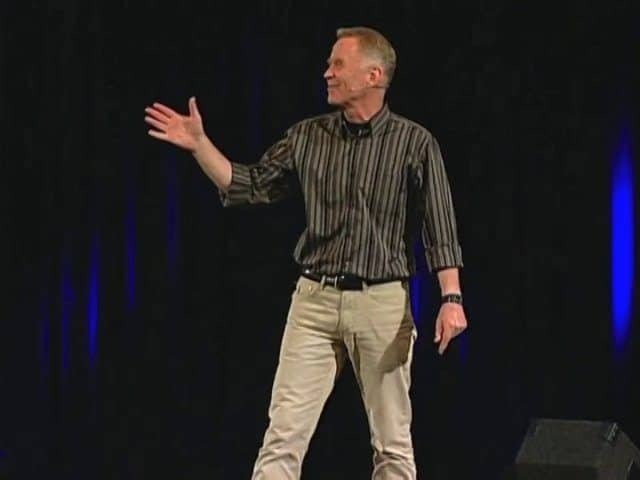 Comedian Bob Stromberg leads a group in an intrinsically corporate activity… group whistling. (Yeah, when was the last time your company did that?) The result is exactly what you are looking for. A successful stand-up comedy bit is not an easy task to pull off. Only the best comedian can succeed. Bob Stromberg is one such comedian for hire. He can and does pull it off when he brings his everyday situations to comedic life through his stand-up comedy routines. Bob Stromberg can use his precise timing techniques to secure the audience and allow the flow of his material to ebb and peak through perfect pauses. He engages corporate activity by encouraging participation so that the audience is listening intently for the cue they need to make the designated gesture at the proper time. Bob seems to understand instinctively the need for the audience to become an integral part of the routine and uses this need to gather the complete attention of all. Another important factor that a good comedian uses to engage an audience is the ability to use gestures appropriately. Bob can do this. He will use his watch as a prop and bring his story to life by visually manipulating his character to use the prop, thereby engaging the crowd at the appropriate time. A real comedian can use gestures naturally as a path to visualizing the story being told. Bob is a natural at using such gesturing during his routines. His stories become real letting the audience enjoy every moment until the peak of the story and the laugh explosion occurs. A good comedian does not need to rely on dicey language to capture the audience’s attention. The mere strength of the material being presented should be enough to do the trick. Bob Stromberg can do this using material that deals with everyday situations without the need to throw in language that needs to be siphoned away from the younger viewer. Bob uses good, clean-cut material, which is funny while allowing the audience to soak in the message being sent. A strong comedian must relate to the audience, or he or she will lose them. Bob Stromberg knows how to do this by immediately engaging his audience through corporate activity, eye contact, and gestures such as pointing to individuals in the crowd. His polite demeanor allows the audience to maintain respect for themselves as well as for Bob, which heightens the connection between performer and audience. Call 615-283-0039 or email Tim Grable to find out more about how to hire a comedian like Bob Stromberg for your next event.